Australian muser who earned his crown and his following of more than 230,000 fans posting everything from musicals to comedy lip syncs to stop motion videos. He's also been known to occasionally post original comedy videos. 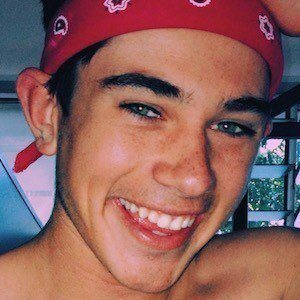 Before discovering musical.ly, his free time was spent going home from his private school on the weekends and spending time on the beach. One of his most popular musicals is the featured stop motion video captioned "#FallLifeADomino." He has one older brother, one younger brother and one younger sister. He has become friends with a number of other crowned musers including Darwin Velasco.